Tandon’s robotics team was preparing for NASA’s robotics competition, but the government shutdown resulted in its abrupt cancelation. 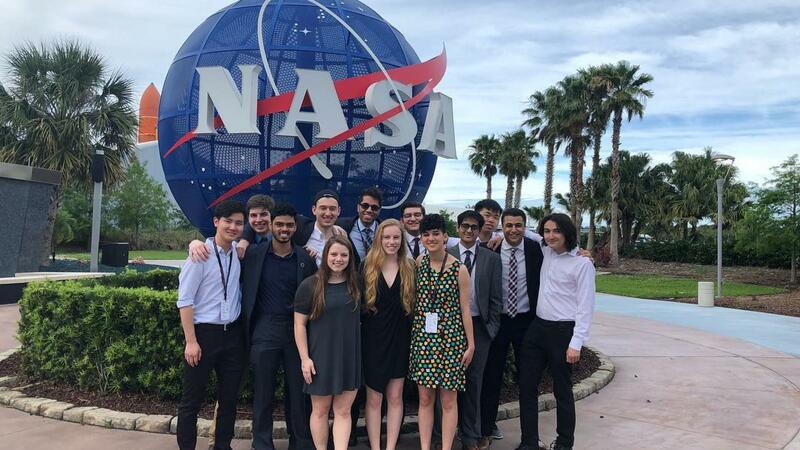 Tandon School of Engineerings’ robotics team was brought back down to Earth after their NASA-hosted competition was canceled. NASA sent an email to the team informing them that the cancelation was due to the month of lost preparation time caused by the 35-day government shutdown and a launch scheduled at the Kennedy Space Center that they didn’t want students on-site for. Each May, NASA hosts the Robotic Mining competition. The event includes sending in papers, outreach reports and system engineering reports for evaluation, but the competition’s centerpiece is an on-site mining competition. Teams across the country bring their robots to see who can collect the most gravel in 10 minutes. Tandon sophomore Allie Karakosta is the communications director of NYU’s team and began to prepare for the competition with her teammates after attending last year’s event. Members of the team had already presented their designs to NYU consultants, built a wooden prototype of their robot and ordered materials to begin building the model for the competition. Then, they received the two-line email from NASA informing them there would only be a virtual competition this year. The team’s students were determined to place higher in the competition than previous years, and their adviser, Haldun Hadimioglu, was sure they would meet their expectations. This year, students were especially determined to do well because it was the 10-year anniversary of the competition and the 50-year anniversary of the Apollo space mission, so the top 10 competing teams were going to be flown to California to meet Buzz Aldrin and other officials who worked on the Apollo mission. The team hopes that the on-site portion of the competition will be relocated to the University of Alabama because they have facilities which could accommodate the event. Several teams and Caterpillar Inc., a co-sponsor of the competition, have been in contact with the university. They are currently looking for additional funding and another week to reschedule the event. Regardless of if the event is successfully rescheduled, the team still aims to have its robot completed by spring break. Karakosta is confident that this year’s cancelation will not affect the team’s participation in future years. A version of this article appeared in the Monday, March 4, 2019 print edition.